MORE THAN SHELTERS was inspired to create the DOMO-SYSTEM in response to the current refugee crisis. However, we realize that DOMO-System is more than just a new approach to emergency housing. Its ability to adapt to individual and cultural needs and local climates makes the DOMO-System an ideal structure for both personal adventures as well as humanitarian projects. Entering the DOMO is unlike anything you’ve experienced before. 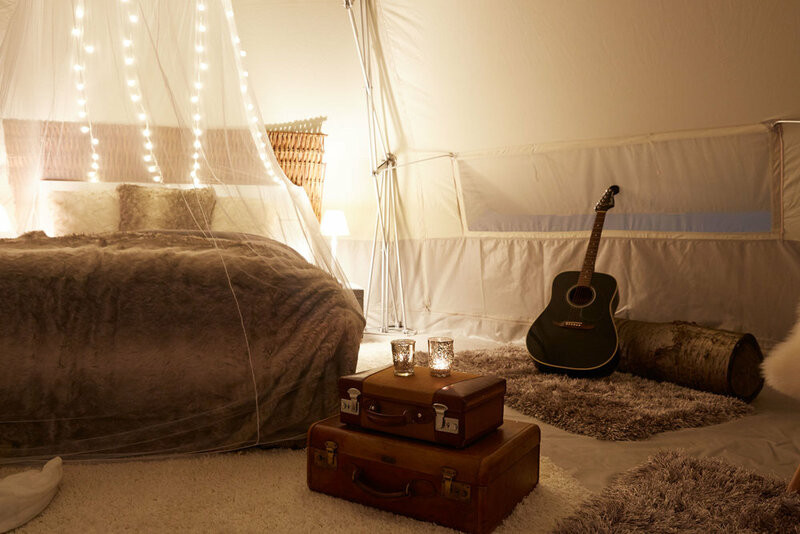 You walk in expecting to feel as though you are in a tent, instead you feel as if you’ve walked into a home. The space conveys the boundless potential contained within the structure. It can become whatever you want it to be. By investing in the DOMO you also help us further our humanitarian pursuits. Our commercial proceeds let us continue to develop our projects and further their reach, allowing us to bring aid to where it is needed most. 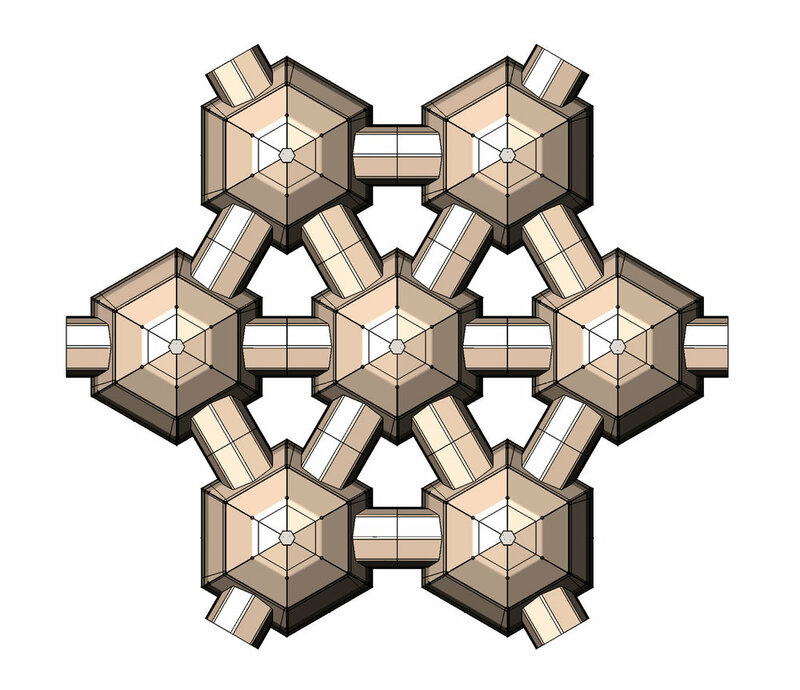 The basis of the DOMO-System is a fast-folding frame. Once erected it provides a heavy duty structure as known for buildings. Onto the frame you can apply various shells of different materials. You can interchange and exchange them over various seasons. Inner shells are available, too and even a hard shell can be put onto the frame to build a real hut. This means you can use all components of the system, especially the frame again and again over years. You can connect all DOMO units on all six sides. An endless variety of options helps you to build the exact spaces you need. This helps you to adapt the system to the building site and other external parameters, but mostly to build exactly for your purpose being it a multi-room family accommodation or a large community building. The DOMO system offers three different shell types, allowing the user to select what material best fits their needs and the intended environment. Each DOMO has interchangeable parts that can easily be modified to fit the desires the user, in addition to simplifying any necessary repairs. 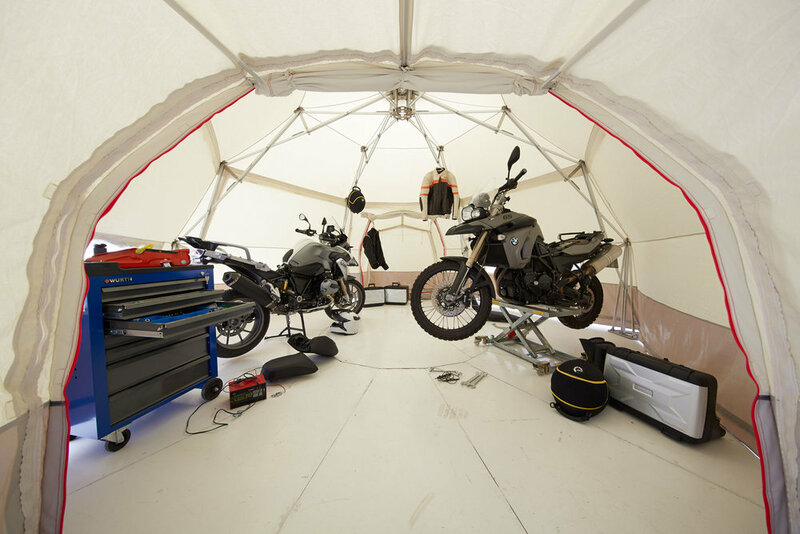 The DOMOs can also be linked together to form larger tent complexes, effectively allowing the user to create whatever space they desire. 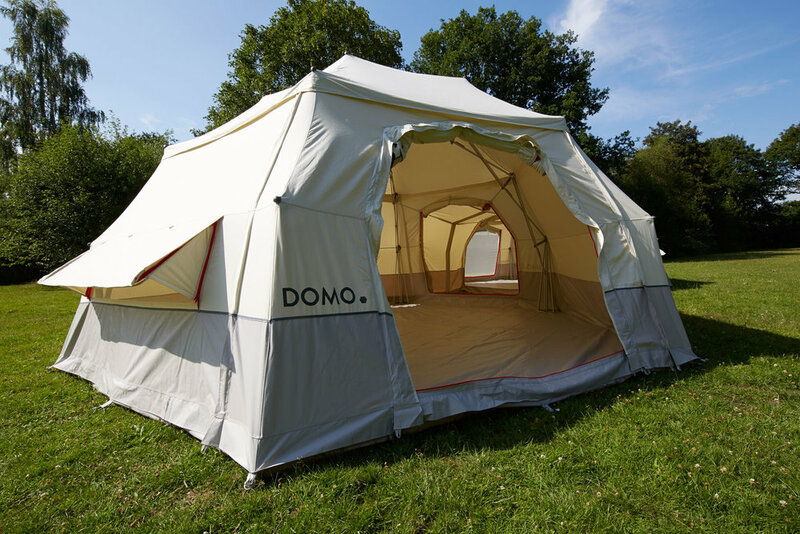 Due to its limitless modularity the DOMO is the only tent system that truly provides an individualized experience. With more than 23 square meters of floor space and a ceiling height of 2.6 meters, the DOMO offers a generous sleeping environment for up to 10 people. For social activities the space retains a feeling of openness and comfort for up to 30 occupants. 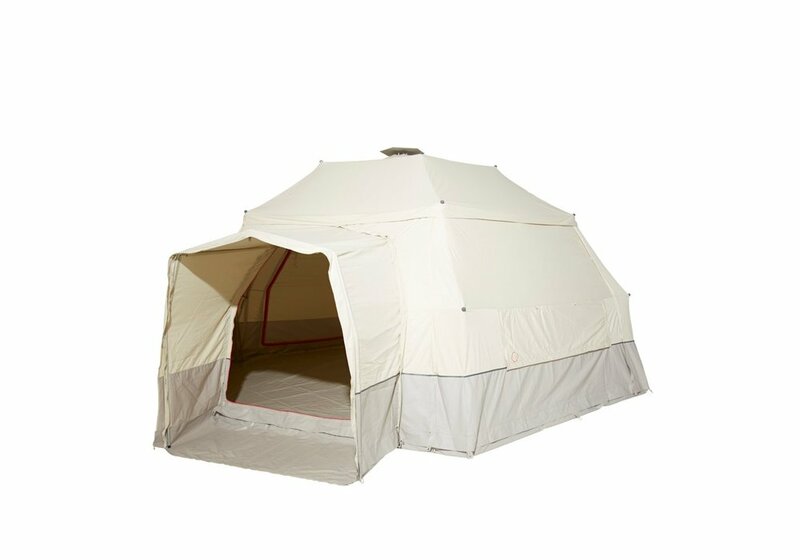 The DOMO kit consists of a strong foldaway support structure, interchangeable fly sheet elements composing the shell, a study tarpaulin floor, two wall elements, two window elements, two door elements and two detachable vestibules. No tools outside those provided with the kit are needed in order to assemble or modify the structure. With its durable structure, interchangeable shell elements, and a growing variety of add-ons, the DOMO is a highly cost efficient long-term-use shelter. The DOMO framework's lifespan of 10 years combined with an ever growing number of supplemental components ensures that your DOMO will continue to meet your needs. The DOMO comes in 2 stackable transport cartons with a gross weight of 140.0 kg, making the tent remarkably transportable for its size and durability. In addition to ease of transport, the DOMO can be set up in under 45 minutes by two untrained individuals, allowing easy assembly whenever it is needed. The innovative support structure provides maximum stability and strength, allowing it to withstand storm-level winds and snow loads up to half a metric ton. The DOMO reliably stands up in the harshest weather conditions - from hot desert climates to monsoons, there’s a DOMO configuration for every part of the globe. Of course we offer the DOMO-System in a variety of materials for different climate zones, but we wanted to go a step further. Instead of only offering a space we include all other items needed for purposes in a package. This is directly coordinated with your teams or procurement specialists to provide a one-stop-shop solution for you. Here are some examples of our packages. DOMO is extraordinary easy to transport. It is designed to fit all logistical standards. It can be carried by two people from one place to another and can be set up in less than one hour, even by untrained staff. With the DOMO-System entire impromptu villages can be built up or moved in only one day. 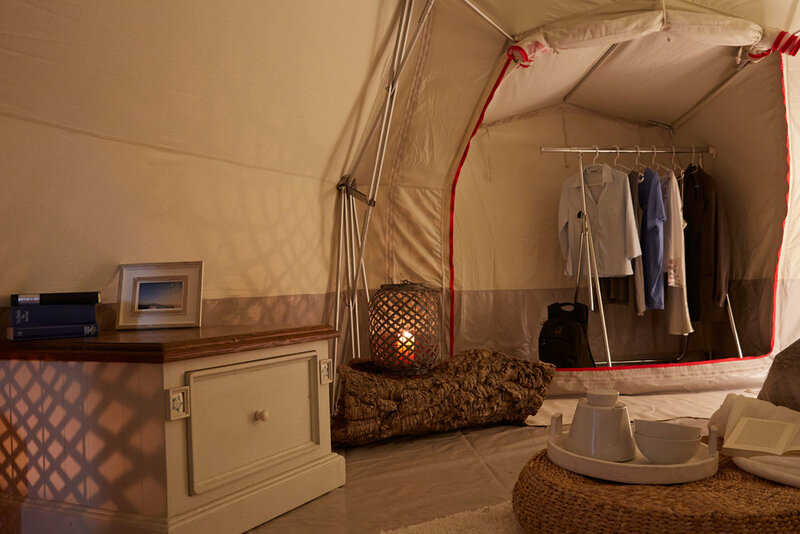 We include all sleeping gear, feltbeds or high-end clamping equipment you need for your event in our packages. Each unit of the DOMO-System is coming in two reusable and easy to (man)-handle transport boxes and can easily be brought even to remote areas which are difficult to access. 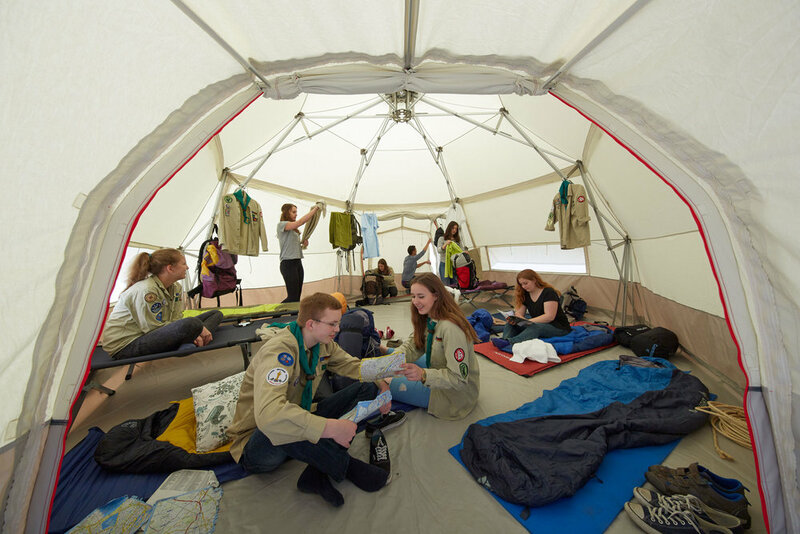 Festival or Scout teams can easily set up their own base of operations and adequate staff accommodation without losing time. With DOMO entire base camps can be set up or - if the situation requires - transferred from one place to the next in less than one day. Fully equipped field office bundles are available. With our ready-to-deploy child friendly spaces packages you can quickly set up protected spaces for the fun of the little ones. DOMOs can easily be connected to one another, creating whole day-care centres. In short, DOMO allows site operators and or festival teams to have child friendly spaces ready anywhere at any time. Due to its adaptability and modularity our shelter system DOMO allows setting up whatever temporary space you wish. Please contact us with you ideas for events or promotions you plan with your company. We will help you designing your tailored-to-fit solution with our design- and planning team. We take pride in developing personal relationships with all of our clients. It is our guarantee that we will help you define and design the right DOMO system for your needs. Once we receive your message we will contact you in the manner of your choosing as quickly as possible. Starting from 2850.-€ the DOMO-System can be shipped worldwide.